This is a very simple and quick dish. 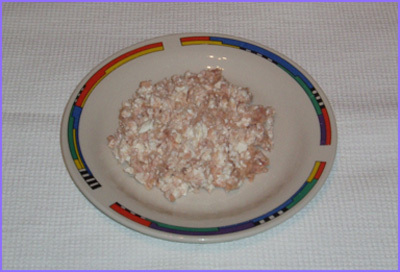 Just mix 100 grams of fresh cheese with an equal amount of tuna chunks. Then stir it, and after you add a bit of salt, the meal is ready.